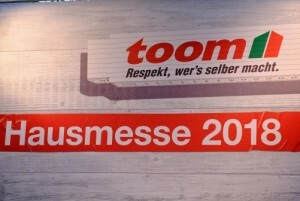 In November 2018, toom Baumarkt organised an internal in-house fair to introduce store managers and employees, which included store clerks and the Purchasing Department and CategoryManagement to new innovations on the DIY market and give exhibitors the opportunity to present their new products. This event took place for the 17th time in November 2018 and attracted more than 1000 visitors. A total of around 90 exhibitors presented their new product ranges, new products and even entire displays. Throughout the whole day, interested groups from the various individual stores and other interested parties came to the stands, where the exhibited assortments and individual articles were explained. Also RFE joined the fair with their own booth. Among other highlights, 26 new light equipment products, two shower cubicles, two new floor coverings and a few individual items were shown which were very well received. Especially the new product line for b1 power tools which has been extensively upgraded both technically and optically generated much positive excitement. 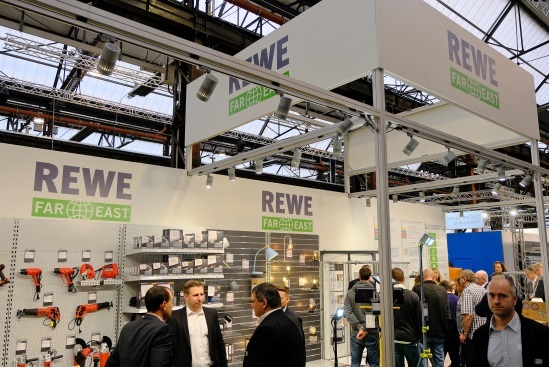 On top of that, REWE Far East exhibited the new power tools accessory line, which is not only convincing due to its longevity, resilience and functionality, but furthermore meets the very high VPS standard which makes these novelties exclusive in its own right. REWE Far East’s Quality Management Team was also represented by Holger Schmiede (General Manager Quality Asia). 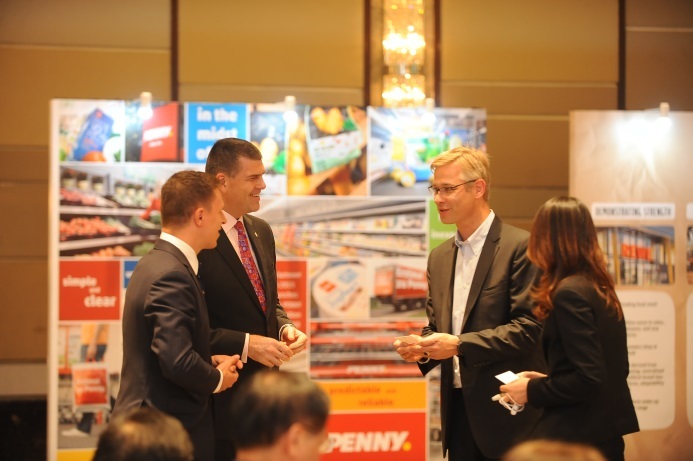 Holger Schmiede demonstrated the use and efficiency of the Multi Fit-For-Use test machine specially developed by REWE Far East’s Quality team in Hong Kong. This machine fulfils the purpose of testing the durability of, for example, kitchen machines by stressing the buttons of the kitchen machines at clearly defined intervals, with a certain pressure and a certain duration, in order to simulate turning them on and off. The toom Baumarkt fair and especially the very practical presentation by Mr. Schmiede enjoyed a lot of interest and enthusiasm and the overall feedback was overly positive. Besides the above mentioned, a major focus has also been on REWE Group’s sustainability programs and initiatives. In further detail, the REWE Group Green Production Program was also presented, which aims to minimize our negative impact on the environment while improving economic performance and conserving natural resources. Moreover, the REWE Group Social Improvement Initiative was introduced, which pursues the goalto improve the livelihoods of workers within our supply chain by, for example regularly auditing our factories and providing hands-on support through trainings to facilitate better working conditions in our supply chain. 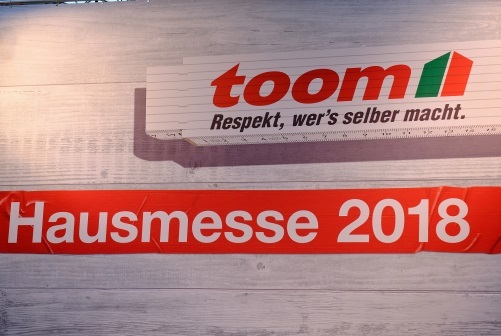 We are looking forward to the next toom Baumarkt in-house fair and are proud to be able to contribute a significant part to this wonderful event! “Together towards a sustainable future!” – that was the topic under which this year’s RFE supplier summit took place inShanghai on the 13th of September. Emphasizing sustainability in our summit indicates the growing importance of this topic not only for our company, but also for each and every p erson on this planet. The day of the supplier summit began with a welcome speech by Mr. Torsten Stau and Mr. Markus Hasse-Pratje. Shortly after, Mr. Torsten Stau, Mr. Markus Hasse-Pratje and Mr. Marcel Weber gave an overview of the successful business year 2018 and also an outlook about the upcoming challenges for our businesses in 2019 and how we will be able to overcome these challenges. Afterwards, Ms. Maria Schäfer presented the sustainability strategy for Penny and REWE, which is based on three pillars: “Resource Conservation“, “Fairness“ and “Animal Welfare while particularly highlighting those topics that are relevant for REWE Far East. Furthermore, Ms. Schäfer talked about sustainable products, which are handled by RFE pointing out our goal to reduce plastic within our product range. Along those lines, she introduced specific programs that aim at reducing our negative environmental impact such as our Green Production Program tackling our metal and plastic Producers as well as our Detox Training Program, which is supporting our wet process units to eliminate hazardous chemicals from their production by 2020. Similarly, she also highlighted our newest program, which is focusing on improving working conditions and human rights for our preferred suppliers. 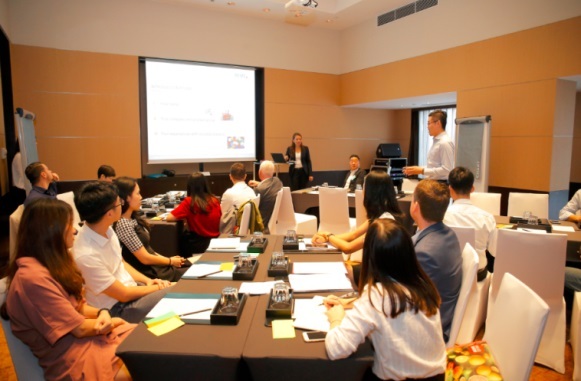 Various workshops were held throughout the afternoon to introduce our suppliers to the latest sustainability related topics within REWE Far East. The following topics were covered in the workshops: “ Green Production Program“ (Patricia von Planta), “ Reduce, Reuse and Recycle of Plastic“ (Maria Schäfer), “ Sustainable Woods and Paper Products / EU Timber Regulation“ (Kai Battenberg) and “ Social Capacity Building Program“ (Christine Alfken). Our workshops had different goals ranging from launching new programs, to educating our partners on existing legislations but also to raise awareness and highlight the necessity of sustainable business practices in order to not only meet our requirements but also to be prepared for the future. Additionally, a panel discussion on Social Compliance was hosted by Mr. Jim Leung of Elevate together with the panelists: Joyce Chau (Network Representative Greater China of amfori), William Wang (Product Director, Letright) and Wendy Wong (CEO, EverFlourish). Jim started out by involving the audience to actively participate by asking them to answer different questions mostly relating to Social Compliance through a mobile app, which was eventually complemented by the panels involvement. The goal of this session was to explore the business case of social compliance and to highlight to the audience that it makes sense, not only from an ethical point of view but also from a cost perspective, to invest in social compliance, in other words in fair and safe working conditions. The day of the supplier summit ended with a conclusion by Markus Hasse-Pratje. In his speech, Mr. Hasse-Pratje expressed his thanks for the exchange with the suppliers and reminded everyone in the audience, that we are the generation that must acknowledge the universal topic of sustainability. Furthermore, he pointed out, that responsible and collaborative action is necessary in order to provide a healthy and safe planet earth to the generations following after us, as we only have one and therefore it is our responsibility to deal with this topic with the necessary urgency.